Photo: Very large Joshua Tree (Yucca brevifolia) in Joshua Tree National Monument. Eastern Mojave Vegetation Very large Joshua Tree (Yucca brevifolia) in Joshua Tree National Monument. 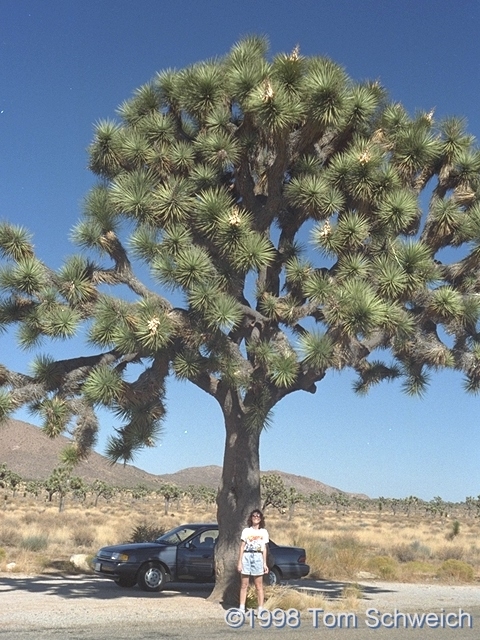 A very special person with a large specimen of Joshua Tree (Yucca brevifolia) in Joshua Tree National Monument.